Wright’s blogpost quotes “Samford University history professor Jonathan Bass [who] calls the letter the single most influential writing of the civil rights era.” Indeed, and Bass does more for all of us. 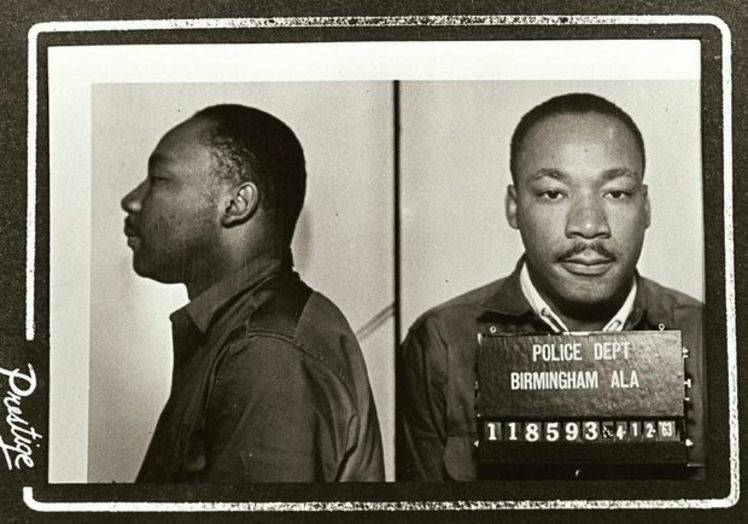 In his book, Blessed Are the Peacemakers: Martin Luther King Jr., Eight White Religious Leaders, and the “Letters from Birmingham Jail”, Bass provides the most complete account of King’s plans for the letter. This includes King’s beginning to compose it in 1962, well before he was jailed in Birmingham, well before his memory was his only source for writing, scribbling in the dark on toilet paper. The Bass account is also important because it shows very well how King’s writing was collaborative, and not just solitary as in the jail cell. The letter took a community to compose. There was planning, sharing, scribbling, writing, revising, typing, publishing, public relations, and republishing. Wyatt Tee Walker and Willie Pearl Mackey and the unnamed jailer are key persons in the composing and the publications of this important essay. This sort of community collaborative writing, I believe, is the case for much of King’s literature. It belongs to a community, even its composition. It belongs to our communities now, even its canonization as an exemplary essay, even its translation into scores of languages, even its memory half a century later. I do not think it matters that King plagiarized a portion of his doctoral thesis. King’s contribution to society did not lie in the realm of academic discourse. I think a good case can be made that King perhaps did not deserve his Ph.D. (although a Boston University committee found that despite his plagiarism that it would not revoke his doctoral degree because the dissertation made “an intelligent contribution to scholarship.”) However, King was not a professor or an academic; and his academic achievements are not relevant to King’s central messages. However, I think that Bernheim was in the wrong. First, Bernheim clearly did rely on his resume inflation to achieve his post as chief rabbi; further, Bernheim’s plagiarism was in a pastoral work that was published during his tenure as chief rabbi. Thus, Bernheim did, contrary to his statement, commit plagiarism in the exercise of his functions. Further, Bernheim went on the attack; accusing other of plagiarizing his works, denying the resume inflation, and acting intellectually dishonestly under press scrutiny. In other circumstances, this may have been forgivable, but not for a chief rabbi — Bernheim committed an offense called in Jewish law a chillul Hashem. Let me take another example to sharpen my point — comparing King to Clarence Thomas. 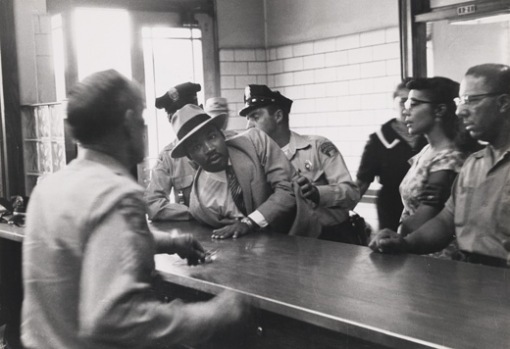 Some people have claimed that King had sexual affairs — if these allegations are true, I do not see how they bear on King’s main contribution as a civil rights activist. I am unaware of any allegations that King ever engaged in harassment or other non-consensual, predatory behavior. But, I object most strongly to Clarence Thomas’s appointment to the Supreme Court. We properly expect a higher standard for judges; all the more for those serving on the highest US court. The evidence is overwhelming that Thomas committed sexual harassment against Anita Hill; even worse, the evidence is strong that he lied about it under oath. I might be inclined to forgive such behavior in ordinary citizen, but not to someone who is given the role of being a high judge. You point to why it does not, or perhaps should not, matter that King plagiarized his dissertation. He is not an academic, at least not in the senses that more narrowly the largely white academy of his day would define that. King’s recondite dissertation never received much attention until, in the fall of 1990, scholars at Stanford University announced that he had plagiarized substantial portions of it. This plagiarism offers still further evidence that his professors’ ivory-tower theological formalism [quite apart from King’s own theology, which Miller describes well] failed to deeply engage his mind. In addition, he stubbornly resisted their most sacrosanct assumptions about language [about who owns it, about personal agency and available means of persuasion by it]. Refusing to take their rules seriously, he adhered instead to folk preachers’ assumption that language is always shared and never owned. Of course, a plagiarized dissertation is a failed academic project. But King’s dissertation failed long before anyone discovered his plagiarism. It forms part of what Protestantism has rightly judged an unsuccessful Personalist effort to construct an interesting alternative to the formulations of Tillich, Niebuhr, and other noteworthy theologians. Today almost no one prizes, studies, or even remembers Personalism for itself; instead, we value Personalism because it played a role in King’s life. None of the Personalists anticipated this state of affairs during the years they taught King. And then there is Keith Miller. A white composition instructor at Arizone State University [sic], Miller espouses a theory of “voice merging,” which holds that blacks cannot commit plagiarism, because the black oral tradition does not recognize intellectual property rights, and that King merely took the words of white men in order to make himself intelligible and acceptable to white audiences. It’s important to respond. Miller points his own readers to King’s uses of words. These words are not hidden away from the public and are probably some of the most scrutinized and remembered words in the history of the Civil Rights conflict in particular and of the United States in general. The allegations of plagiarism can be proven true in some cases — and Miller of course, even in the brief excerpts I’ve quoted above, does concede that King’s dissertation plagiarized. So Miller’s point is not that King or “that blacks cannot commit plagiarism.” Miller’s point is not that “voice merging” is some sort of sophism that receives a pass on the claims of intellectual property rights as a squatter might claim the right to sit on somebody else’s front yard. Rather, we are asked by Miller, especially white intellectuals and academics like himself are asked by Miller, to read and to listen to what King wrote and what he said. And how he used language. I want to draw a map, so to speak, of a critical geography and use that map to open as much space for discovery, intellectual adventure and close exploration as did the original charting of the New World — without the mandate for conquest. These [various aforementioned] speculations have led me to wonder whether the major and championed characteristics of our national literature — individualism, masculinity, social engagement versus historical isolation; acute and ambiguous moral problematics; the thematics of innocence coupled with an obsession with figurations of death and hell — are not in fact responses to a dark, abiding, signing Africanist presence. Morrison’s book looks interesting, but I do not understand your reference to the essay with “the same title” — you mean the first chapter of her book (“Black Matters”), right? What Africanism became for, and how it functioned in, the literary imagination is of paramount interest because it may be possible to discover, through a close look at literary “blackness,” the nature — even the cause — of literary “whiteness.” What is it for? What parts do the invention and development of whiteness play in the construction of what is loosely described as “American”? If such an inquiry ever comes to maturity, it may provide access to a deeper reading of American literature — a reading not completely available now, not least, I suspect, because of the studied indifference of most literary criticism to these matters. As an unrelated pr perhaps related aside, some of the African American literary critics I know have been engaged in a social media conversation around the American media’s stereotypes for the two suspects in the recent Boston Marathon bombings. At first there was suspicion that these individuals were “dark-skinned or black.” When it became clear that these were rather not African, not Middle Eastern, not South or East or Southeast Asian, not Hispanic but were European, if East European and, of course, Muslim, radicals, there was no reporting of their whiteness. Only the FBI posters listed their race as white, but the media reports did not use “white” to describe them. The surprise, instead, reported regularly was/ is how “American” they looked and acted, how regular, normal, like the rest of us. It would certainly be interesting to study the relative impact of racial vs religious stereotypes when it comes mental images of terrorism. When we think of “Beltway snipers” Lee Boyd Malvo and John Allen Mohammad, for example, do we first think of their race or their religion? Interesting examples. We might add to the list John Walker Lindh, Timothy McVeigh, Ted Kaczynski, and Dylan Klebold and Eric Harris. Here’s a fascinating blogpost related to our comments so tangential to this post. I guess the question I am wondering is which adjective comes to mind first for most people. In other words, if I asked the random person “give me a list of adjectives describing Malvo and Mohammad” I wonder which would appear higher in the list: terms describing race or terms describing religion. By the way, I finally got a copy of Pappas’s book. It is a very odd book and racist, which deserves full comment on its own. My surprise (which I will elaborate on later) is that such a book managed to to get the blurbs it did. It does not surprise me that Pappas’s fellow-paleoconservative Barry Gross wrote a blurb, but I was a bit shocked to realize that Jacob Neusner and John Lukacs had written blurbs for it — I thought they had more sense. Thanks for your comments. I’m especially grateful for your assessment of Pappa’s book and of Neusner’s an Lukacs’s blurbs. Any who would read it would do as well to consider Keith Miller’s book as giving a much needed response and a studied understanding of the rhetorics of MLKJr. Whiteness and Christianity and the possession of the Bible (vs. their respective opposites) are used to calm the public. If I get a chance, I’ll post a full review of Pappas’s book. It is full of animus. At its core, the “Letter” was a proclamation of black self-sufficiency.